Kids chess games can teach kids about concentration, memorization, planning, balance of time, discipline, determination, skills that children will use at school and throughout their lives. Chess can also be a lot of fun once kids have learned how to play the game. There is nothing like playing a good game of chess for hours or even... for days. Studies have shown that children especially from the age of 10 develop logic and judgment and that chess can accelerate this growth process. They have also shown that children that learn chess tend to do better in school. Many countries have actually included the game of chess as part of their school curriculum. Chess games can also help kids build valuable social skills as they play with friends and schoolmates. Learning to play chess is not that difficult. It is actually quite easy to learn. Children as young as 5 years old can learn the basic rules of the game. And usually children that learn to play the game of chess from an early age grow to become experts in it. We also recommend a book called Chess For Kids by Michael Basman (DK Publishing). The book is specifically about teaching children how to play chess and is very thorough. It teaches the basics of the game, essential techniques, and attack and defense strategies. 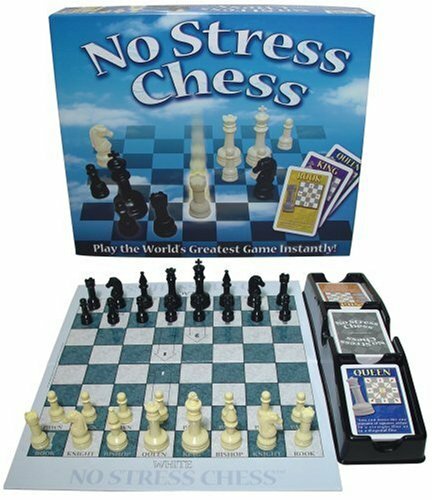 We also recommend a game called No Stress Chess (for ages 7-12). It is actually a chess sets for kids that also teaches children how to play chess. It includes 56 illustrated cards that help kids learn the game while they play. What is great about this game is that once kids have learned the rules of chess, they can use the board to play standard chess. There is also a video game called Learn to Play Chess with Fritz and Chesster (for ages 8 and up) which is like an arcade style video game. Kids explore a kingdom and learn from the basics of chess to advanced strategies. It is worth noting that the video game is the winner of the 2003 Bologna New Media Prize. There are many chess sets for kids that you can get. A basic but good quality set is all that you need to play at home. 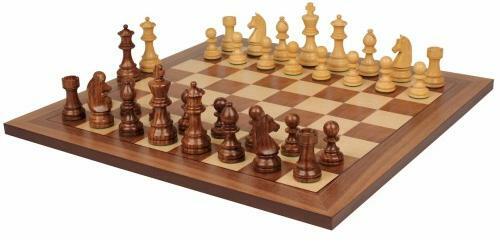 A basic wooden chess set that we recommend is the Classic Wood Chess Set by John N. Hansen. It is a beautiful and all made of wood including the chessmen. It is also relatively cheap at less than 30 US dollars. If you are looking for a beautiful, high quality wooden chess set we recommend the German Knight Staunton Chess Set. This chess set has an old German Knight design and has a chess board that measures 17.5". It also includes a walnut chess case made from solid walnut, walnut and maple veneers. It is perfect for a coffee table or a game table and for playing a long game of chess.